From the moment she glimpses her idol on Broadway, Eve Harrington (Anne Baxter) strives to upstage Margo Channing (Bette Davis). 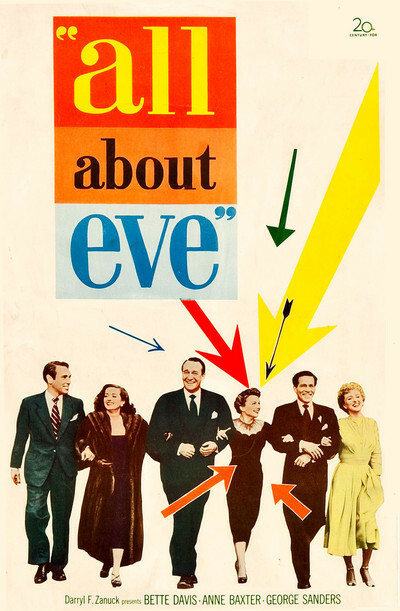 After cunningly stealing Margo’s role, Eve disrupts the lives of anyone close to the actress in this timeless cinematic masterpiece. With its witty dialogue and knockout performances, the film earned a record 14 Oscar® nominations* and also features Marilyn Monroe in an early supporting role. *1950: Best Picture (won), Supporting Actor (George Sanders, won), Costume Design (B&W, won), Directing (won), Sound Recording (won), Screenplay (won), Actress (Anne Baxter), Actress (Bette Davis), Supporting Actress (Celeste Holm), Supporting Actress (Thelma Ritter), Art Direction (B&W), Cinematography (B&W), Film Editing, Music (Score). You can buy your ticket in advance by clicking here or purchase at your local theatre. 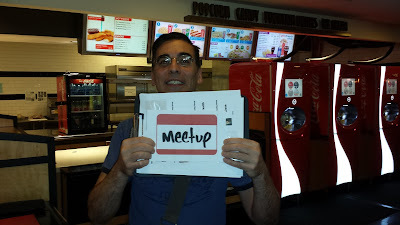 First-timers, look for me holding a Meetup sign below.